Brazilian coffee beans are not dense due to being grown at relatively low elevations. Therefore, medium-dark roast is preferred, as a dark roast can project an ashy, bitter flavor. Premium Brazil coffee is low in acidity, exhibits a nutty sweet flavor, and is often bittersweet with a chocolaty roast taste. The beans used for our essence are of the more flavorful Arabica variety sourced from the Sul de Minas region of Brazil. 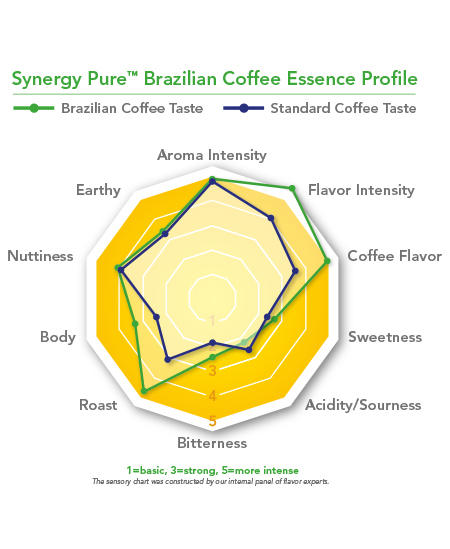 All natural Synergy Pure™ Brazilian Coffee Essence delivers the invigorating aroma and authentic flavor notes of a perfectly-brewed cup of Brazilian coffee for premium taste in food and beverage products. 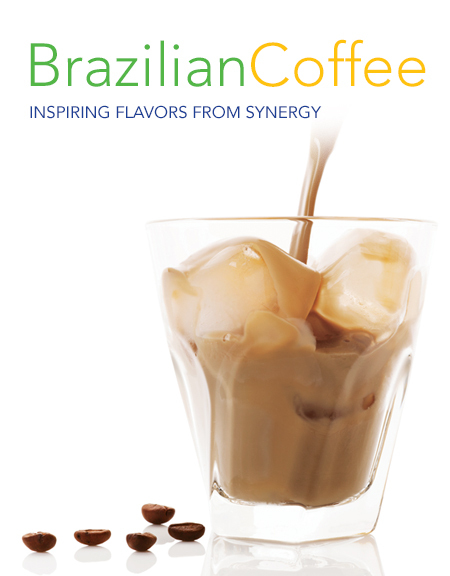 To sample our 100% Brazilian Coffee Essence or specialty application, please contact your Synergy Flavors sales representative at (847) 487-1011 or send us a note by clicking here. Brazil has been the largest coffee producer for over 150 years and is responsible for 1/3 of the worlds coffee today. 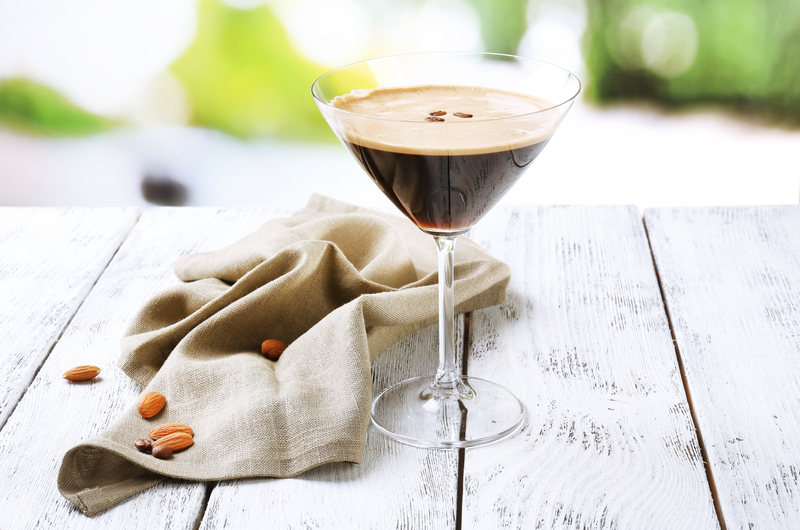 Synergy sourced beans from the Sul de Minas region of Brazil made a 100% Brazilian Coffee Essence that captures the rich character and aroma of the world's favorite cup. To read more about our 100% Brazilian Coffee Essence and specialized applications, click here.